An e-learning course providing a general introduction to Accessible Tourism, for managers and staff in the travel, tourism and leisure sectors. Both courses are free of charge. You must Create an Account with the ETCAATS e-learning platform in order to take the courses. After you have registered with ETCAATS you may choose and Register for the Course you prefer. The T-GuIDE introductory e-learning course has 6 Modules, made up of text, videos, images, downloads and links to external websites. Modules 2 to 6 finish with a short Quiz. After you have registered and followed the first course module, you will be able to login again and see your Statistics (progress and test results) and My Favourites (saved items). 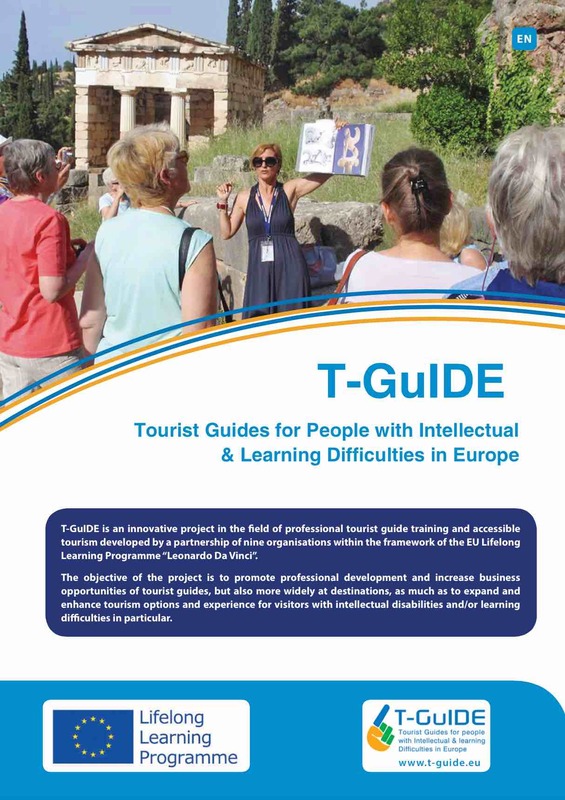 Download and read the T-GuIDE Booklet. A print-friendly, 4-page PDF document available from the T-GuIDE Resources webpage. Read more about AccessTraining and share your thoughts with us on our Access Training Facebook page. Follow us at the T-GuIDE Facebook page.